A loan of $425 helped to buy new tools and equipment that he needs for his vehicle repair work in the garage. Taron has already successfully repaid two Kiva loans and he is very thankful for such supportive Kiva loans. He is 40 years old and he lives in the village of Gugark in the Lori region. He lives with his wife, son and daughter. Taron still rents a garage and provides car repair services as he did before. 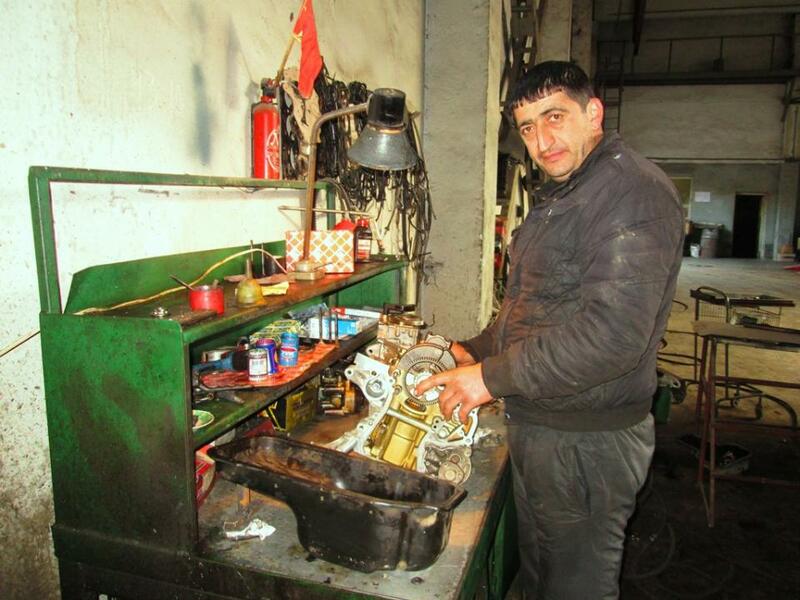 He does replacement or repair of car engines, car transmission boxes and other car equipment. He has many loyal clients and he works with great responsibility. That is why he is always busy with work and has no lack of customers. Taron this time asks for a Kiva loan of 200,000 AMD as he would like to buy new tools and equipment that he needs for his work in the garage, so that he will work with better and higher quality tools. It supports the well being of low-income families.